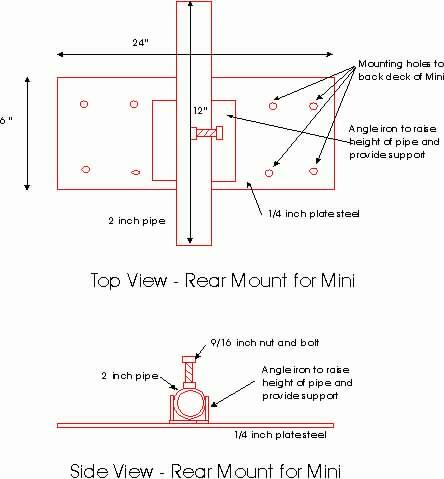 This is the drawing of the rear mount. This bolts to the top of the parcel shelf below the rear window. You can line it up, clamp it in place and then drill through existing holes in the shelf. I clamped the mounts together, both front and rear, to make sure I had a good alignment, then tack welded everything in place. I then removed them and did the final welding. 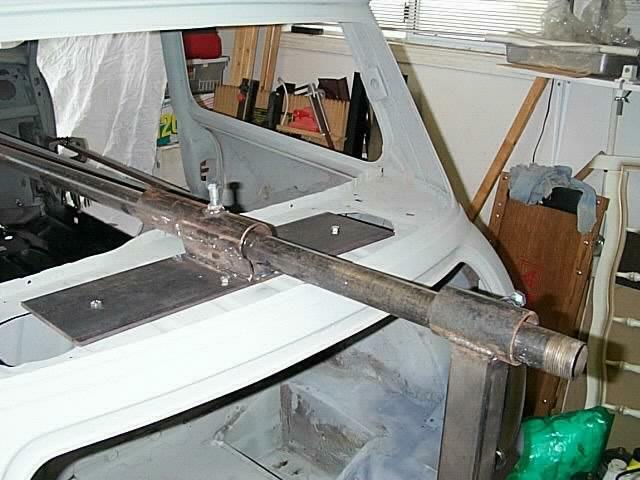 It's not a pretty weld job, but it holds! Here is the finished product. By having the nut and bolt setup here , this allows you to insert and remove the pivot pipe as required, adjust the length out the fron and rear and lock it in place. The next page shows the diagrams and a few pictures of the front mount.